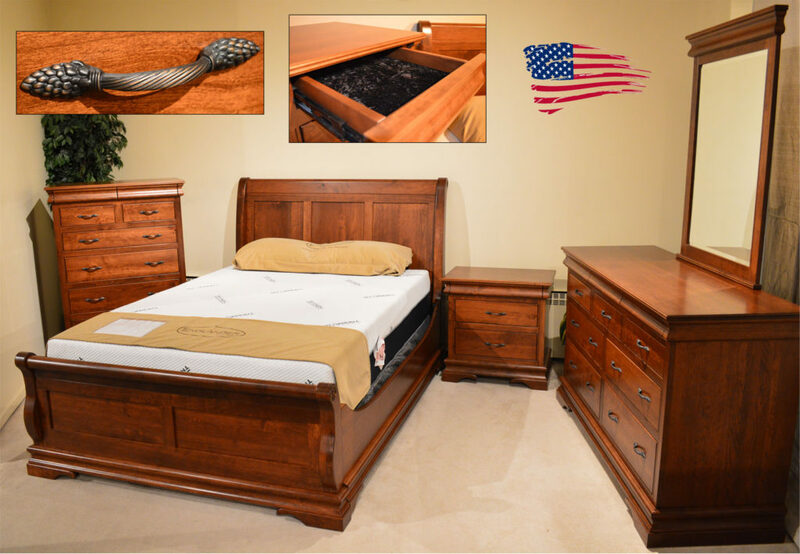 All solid rustic Cherry construction, Full-extension ball bearing glide tracks for silky smooth action and full access to your drawers on every piece, accented with oil-rubbed bronze vine and grape hardware. Felted jewelry drawers are included along the top of each piece. Available in Oak, Maple, Quarter swan Oak, and other species; variety of finish colors, and hardware catalog. MADE IN USA! Nightstand- 36.5″h * 20.5″w * 17.5″d.